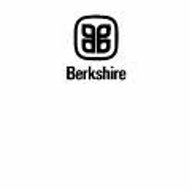 The Berkshire Health Insurance Company review is a review of The Berkshire Life Insurance Company of America. The company was formed in 2001 with the merger of the Berkshire Life Insurance Company and the Guardian Life Insurance Company of America. Find the best health insurance rates in your area today with our free online tool. Enter your zip code in the box above now! The Berkshire Life Insurance Company of America has received an A++ (Superior) from the A. M. Best Company. The A. M. Best Company is the leading financial strength ratings provider in the United States for the insurance industry. This rating was given to the Berkshire Life Insurance Company of America’s parent company the Guardian Life Insurance Company of America and fellow subsidiary The Guardian Insurance and Annuity Company, Inc.
A career with the Berkshire Life Insurance Company of America comes with a wide array of benefits. These benefits include health insurance, work and life assistance programs, income protection, retirement services, adoption assistance, and long-term care insurance coverage. The health insurance offered to Berkshire Life employees includes dental and vision coverage as well. Employees are able to choose from three different health insurance plan options. The dental insurance offered by Berkshire Life works through a PPO provider network. The Berkshire Life employee work and life assistance programs include employee assistance, elder care assistance, and childcare assistance. All of these programs are free for the employees and the employee’s family members. Berkshire Life also provides its employees with access to counselors any time day or night, all week long. As a way to protect income in the event of an accident Berkshire Life offers short-term care coverage, long term care coverage, and life insurance. The short-term and long-term care coverage provides a way for the employee to cover life costs when an accident makes it unable for them to work. Saving for retirement is an important priority in life. Berkshire Life helps its employees reach these important life goals by offering a 401 (k) retirement plan. The Berkshire Life 401(k) plan has employer matching, the ability to make special contributions, and tax deferred savings. The Berkshire Life Insurance Company of America believes that everyone deserves the joy of having a family. As a way to help their employees with this Berkshire Life offers an adoption assistance program. This adoption assistance program includes special needs and foreign adoption as well as more typical domestic adoption. The Berkshire Life Insurance Company of America offers three main types of life insurance products. These three types of products include personal disability insurance, business disability insurance, and long-term care insurance. The Retirement Protection Plus program is a personal disability insurance plan that allows the policyholder to save for retirement much in the same way they would have if they had never become disabled. The policyholder is able to contribute to their retirement until they are 65 like with any other retirement plan. After the policyholder is retired, the money they have saved will be paid to them as a supplement income much like Social Security payments. Use our free online tool now to find the best health insurance rates. Enter your zip code above to start your search now!